Digital Nova Scotia - Nova Scotia Industry Network - Holiday Networking Event! 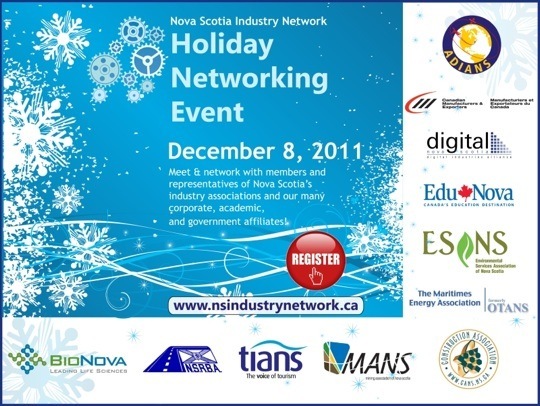 Nova Scotia Industry Network - Holiday Networking Event! Digital Nova Scotia Member Companies and their employees are cordially invited! Last year's event was a great success and was attended by 800 members of the participating industry associations!